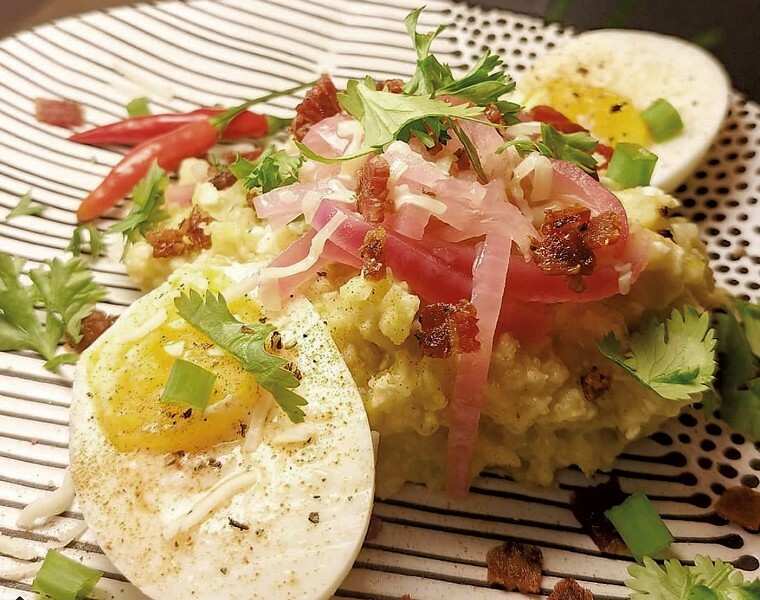 The range of cuisines available in Burlington will expand to include Dominican food next spring, when Maria Lara-Bregatta plans to open Café Mamajuana. Lara-Bregatta, currently a server at ArtsRiot, said she hopes to sign a lease for the vacant restaurant space at 55 Main Street. Main Street Deli moved out of the location about six weeks ago. "I've been working on the idea for a while," Lara-Bregatta said. "I'm excited. There's no food diversity in Vermont that's up to my standards. So, I'd like to bring in some authentic cuisine." Lara-Bregatta, 25, grew up in a restaurant family in Cherry Hill, N.J. She moved to Burlington to attend the University of Vermont, from which she graduated with a degree in religion and sociology. Her business plan involves her father, chef Luis Lara, who has been featured on the Food Network. He'll come to Burlington temporarily to work with and train an executive chef for Café Mamajuana. Lara-Bregatta described food from the Dominican Republic as a cross between South American and Caribbean cuisine — with lots of salads, fruits, rice and chicken. Plantains are the basis of many meals, she said, and tapas-style plates are common. "It's fresh and yummy," Lara-Bregatta said. "It's similar to Puerto Rican cuisine." The restaurant will be open for counter-service lunch and switch to a full-service, sit-down restaurant for dinner. The menu will include shrimp and avocado ceviche ($10.50); canoas, or plantain "canoes" stuffed with beef, chicken, pork or seasonal vegetables and topped with mozzarella cheese ($8); and empanadas ($5). A dish called la Bandera ($13) — "the flag" — is composed of "traditional Dominican comfort foods in one meal." A tropical salad ($11) brings together avocado, mandarin orange, jicama, red onion and radish on arugula. Café Mamajuana gets its name from a traditional Dominican libation made of rum, wine, honey and tree bark. "It's said to be an aphrodisiac and to have numerous health effects," Lara-Bregatta noted. "It's not heavy. It's like Limoncello after an [Italian] meal." Launching a business "becomes even harder when you're a young woman of color," Lara-Bregatta said. "The whole point of opening this restaurant is to bring diversity to Vermont. I wake up in the morning, and I crave food from my childhood. It's very important to me, in that way." Café Mamajuana will serve its food November 30 to December 2 during the Vermont International Festival at the Champlain Valley Exposition. In addition, if Lara-Bregatta finalizes a rental agreement at 55 Main St., she intends to host pop-ups before a spring opening. The original print version of this article was headlined "Dominican Delight"